Our guest hens are laying an egg a day; and with Madame Arcati—our own—that adds up to four. So I am looking for new ways with eggs for lunch. 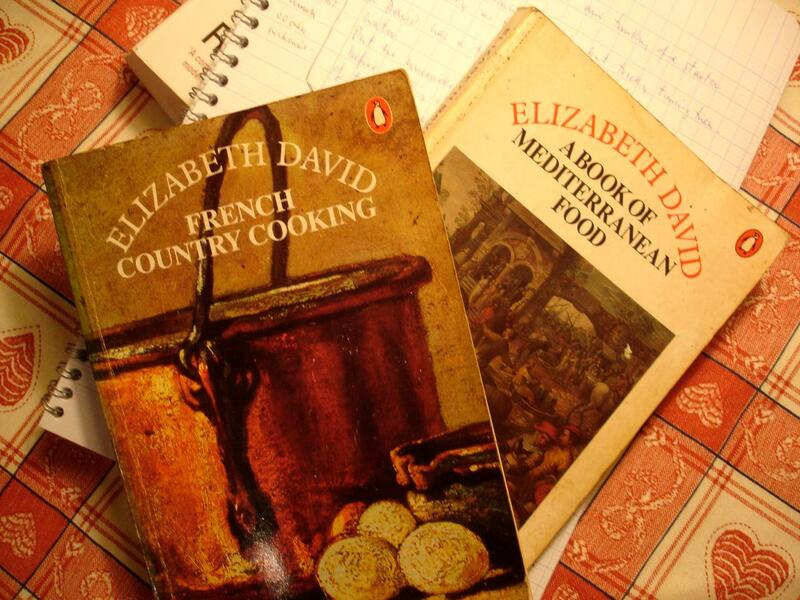 Elizabeth David — doyenne of English food writers, whose first volume A Book of Mediterranean Food appeared in 1950—is always worth revisiting—for recipes certainly, but also for an entertaining, an informative read. All her books are still in print. In her second, French Country Cooking, she writes a page-long essay on poached eggs! She confesses that she learned all she knows about poaching eggs from a cookery book published by the Buckinghamshire Women’s Institute (!). Here’s the tip–and it works. Lower each egg, still in its shell, into a saucepan of boiling water, for about 20 seconds; then retrieve it. This has the effect of coating the egg neatly in its own white, and avoiding the swirling chaos that can occur. To poach the egg—put a little wine vinegar in the boiling water, crack the egg into a small bowl and carefully lower it into the water. Encourage the egg to turn over, and after a minute or so, gingerly lift it out. Is this your first posting? I want to read them from the beginning. There is wonderful food for thought here. Thank you so much. I love reading your blog. Could have been–it’s a while ago now!